Past Events & Actions – Protect Water for Future Generations. information sharing event held along Rapid Creek. AN OPEN WORKSHOP RADIATION & HEALTH – IMPACTS OF URANIUM MINING HELD ON SATURDAY September 30th, 2017 IN Kyle, SD WAS WELL ATTENDED. TO ENVIRONMENT & HUMAN HEALTH. What is radiation? What is contamination? How does it affect our health? The Radiation Monitoring Project (RMP) is hosting an informational workshop for communities near abandoned uranium mines and other nuclear sites to better understand radioactivity and how exposure can affect our health. This project is sponsored and supported by local organizations fighting to protect the land, air, water, and communities from uranium mining. Congratulations to Connie Ming who was the winner of a pair of tickets to the Bonnie Raitt Concert on Sept. 9th at the Rushmore Plaza Civic Center. 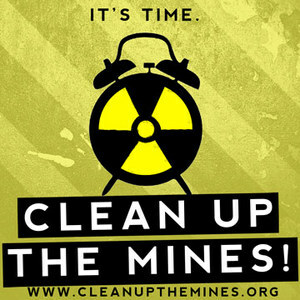 We send a heartfelt thank you to Bonnie and all who donated and support these efforts to stop uranium mining. Bear with us; we’re still building and updating this new site.